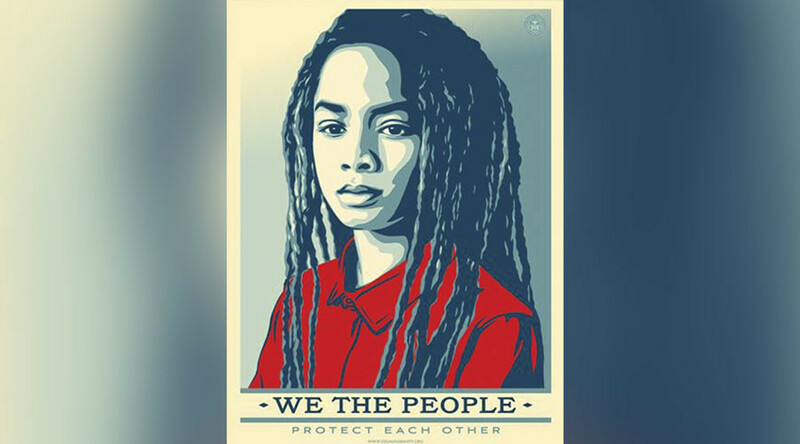 The artist who created the iconic HOPE posters which became a totem of the movement behind Barack Obama’s rise to power in 2008 has created a new range of posters for the Trump presidency – and the mood has darkened. 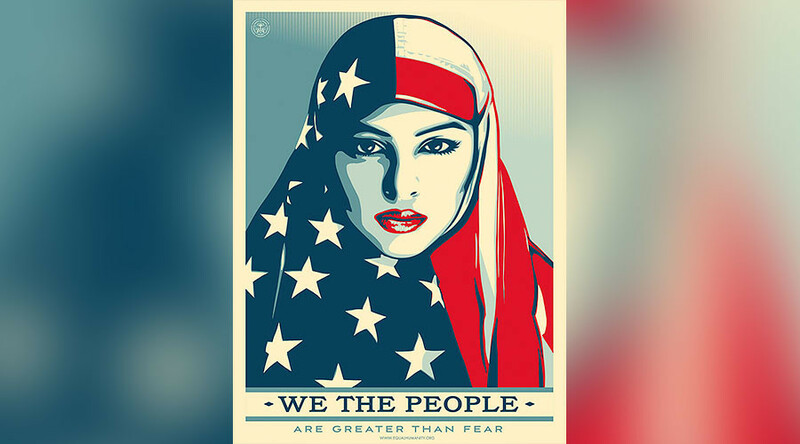 Shepard Fairey’s HOPE poster began with a print run of just 350 copies but it spread like wildfire as Obama rode a wave of support that swept him into the White House. Eight years later and the artist is back with a similar series of prints but this time, instead of featuring America’s commander in chief, they depict marginalized people such as native Americans, black people, women and Muslims. The ‘We The People’ series of prints are part of a plan to protest Donald Trump’s inauguration on January 20. Fairey teamed up the Amplifier Foundation, a non-profit organization which supports grassroots movements, to create the posters which they hope will flood Washington DC on Friday. “Much of Washington will be locked down on Inauguration Day, and in some areas there will be severe restrictions on signs and banners. But we've figured out a hack,” a Kickstarter page which was set up to support the project explains. The Kickstarter Campaign was set up with a goal of $60,000 but by Monday it had already generated 15 times that amount, with well over $900,000 raised. Posters will also be distributed by the Amplifier Foundation at metro stops and other locations, and will be available for free download. The DC Department of Homeland Security and Emergency Management is planning for 800,000 to 900,000 people to attend the swearing-in ceremony and inaugural parade, according to NBC4. Fairey told USA Today that he hopes the campaign will help people focus on what they have in common. “We frequently focus on our differences but really have so much more in common: common humanity, love of our children, desire for a peaceful life… Let’s focus on what we can do together even though we may not all look the same,” he said.